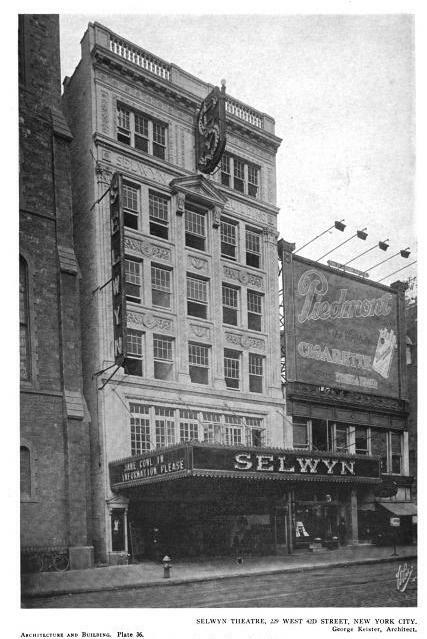 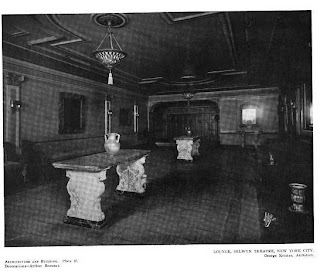 The Selwyn Theatre built for Archie and Edgar Selwyn by George Keister c. 1918 at 227 West 42nd Street in New York City. 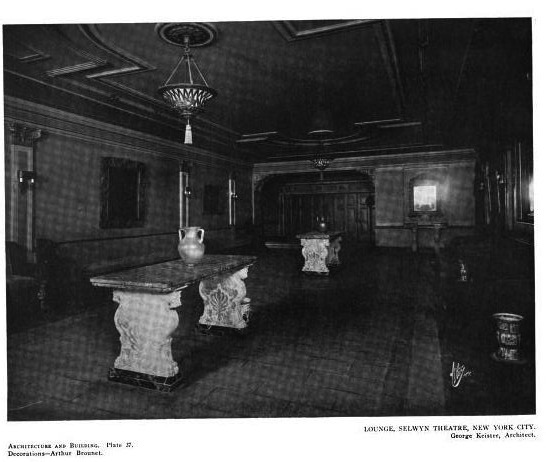 The theatre eventually fell into disrepair and was taken by the City and State in 1990. 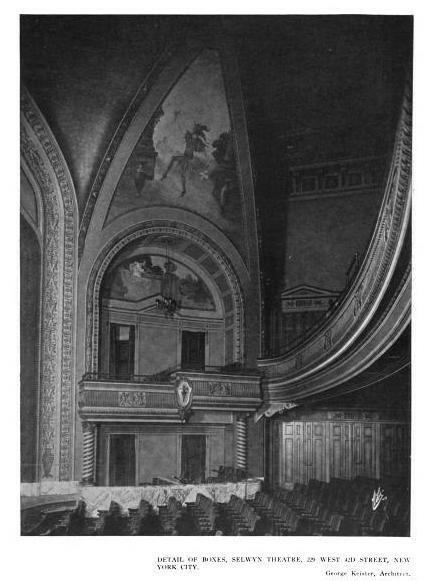 In 1997 the Roundabout Theatre Company began a renovation and the updated theatre was reopened as the American Airlines Theatre in 2000. Click HERE to see what the Selwyn Theatre looks like today on google earth. One looks at the sweep of that balcony, the vaulted ceiling, the murals, the proscenium arch, and realizes it's true: They just don't build 'em like that any more.